Lawton Bluff is located on James Island, off of Harbor View Rd. The homes in Lawton Bluff are mainly traditional brick in style and built in the 1960's. With large mature lots with beautiful oak trees give the neighborhood a quiet feel. Lawton Bluff is very conveniently located within 5 miles to downtown Charleston and close to Charleston's beautiful beaches. 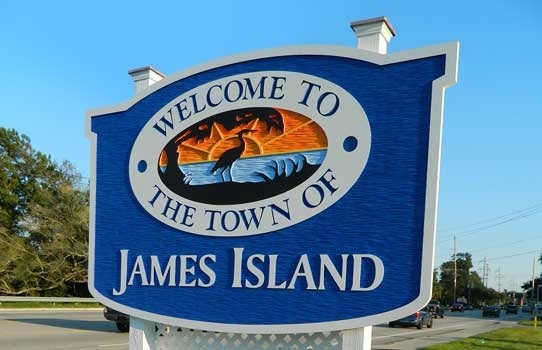 These Homes are Located on James Island !! James Island is a large sea island framed by Wappoo Creek and Charleston Harbor to the north, Morris Island and Folly Beach to the east, and the Stono River and John’s Island to the West. Steeped in history James Island was home to many a stately plantation , the first shots of the Civil War were fired from the island’s Fort Johnson onto Fort Sumter in 1861. With all but a handful of dwellings left after the war, the island reverted to a sparsely populated rural farming area, much like its neighbor, John’s Island. Laced with creeks, and affording spectacular views of the city, James Island became a little piece of paradise enjoyed by few. The island experienced renewed growth during the 20th century, and with the completion of the James Island Connecter, James Island and the other islands west of Charleston became prime locations for new development. Today many business and residential areas cover James Island, making it popular place for all lifestyles in close proximity to the city. The island’s wide variety of housing and other area conveniences including restaurants, theatres and shopping draw people from all walks of life. Another huge benefit is James Island County Park. This incredible 643-acre park offers biking, nature trails, a climbing wall, an elaborate playground, pedal boats, kayaking, 16 acres of lagoons, fishing and crabbing dock, and picnic areas. There are 10 vacation cottages and a campground, with 125 sites. Splash Zone, located inside the park, is a well-rounded water playground offering two 200-foot tube slides, a 500-foot lazy river with an adventure channel featuring sprays and a waterfall, a leisure pool, and a Caribbean play structure with interactive elements.